This year, Mother’s Day turns 100 and it’s a special anniversary for a lot of very special women. We have Mother’s Day because a daughter wanted to honor the hard work she witnessed and the enduring love that she felt from, and for, her mother. Many of us want to do the exact same thing for our mothers. To make a great day requires a little imagination and planning. once it’s all about her. Top on lots of Moms’ lists: celebrating the day as a family and enjoying a meal. A chance to spend time together with no cooking, clearing or cleanup. Most restaurants name Mother’s Day as the busiest time of the year, so make your reservations early. Another option would be to make brunch, lunch or dinner at your house or Mom’s. No crowds and still no kitchen chores for Mom. Whether you eat in or out, allow plenty of time to gather or get to the restaurant. You don’t want to be late or in a mad rush to get there. Start making plans (especially if you’ll be coordinating with siblings) well ahead of time. Another advantage to early planning: If you’re the chef for the day, you can ask Mom for all her favorite recipes without giving away the fact that you’ll be cooking them in May. Paper placecards with the date, guests’ names and menu make a nice keepsake. Placecards could also feature pictures of Mom over the years or could list some of her favorite sayings or expressions. This is a good project for kids. A good rule of thumb is to combine a classic gift with something that she might not buy for herself. Flowers are classic, instant-hit, can’t-go-wrong presents. 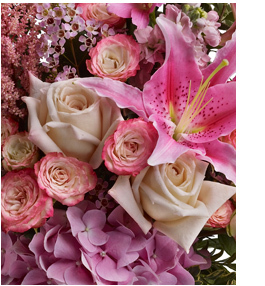 A beautiful bouquet of fresh-cut flowers – roses, lilies, alstroemeria, orchids, carnations, daisies, whichever flowers are her favorites – shows how much you love her and is a treat for the senses. 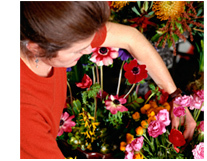 With striking color, scent and texture, flowers are also a gift from nature, reminiscent of a mother-child bond. Cut flowers have a fairly brief life and so they remind us that our loved ones will not be here forever and that we should make the most of our time with them while we have the opportunity. 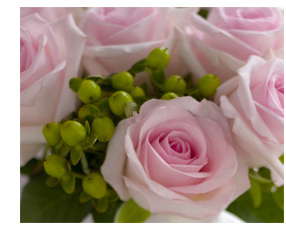 Buy bouquets and other gifts well in advance. That way you can cross that item off your to-do list and you won’t have to deal with the stress of scrambling at the last minute. Also, when buying flowers, remember any new mothers or members of your family and social circle who have recently lost their mothers. Granted, some people say we should de-emphasize gifts and cherish our mothers throughout the year, not just on the second Sunday in May. Of course we should let Mom know she is loved all year long, but setting aside a day and marking it in special ways brings that intention into focus and reminds us to be grateful going forward. No matter how you choose to spend your day, the most important thing is to let Mom know you care and that you love her. For many of us, nothing expresses that more perfectly than flowers.